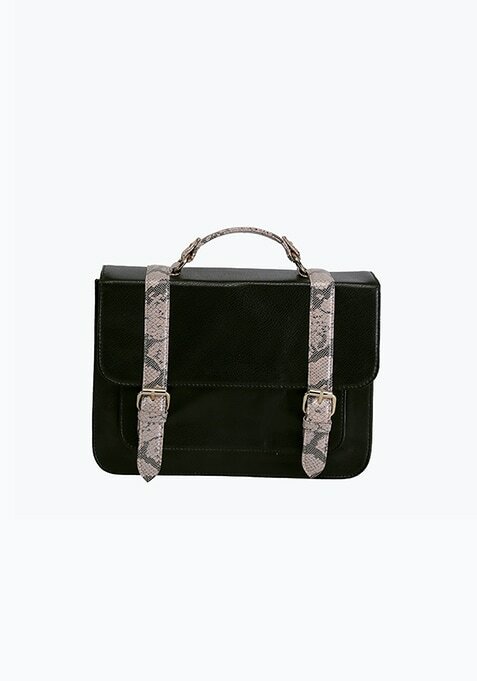 This classy satchel bag is stylish and unique. It features a long strap, buckle detail on the front and a single grab handle. Work It - Team it with a printed blouse and gold-toned accessories.